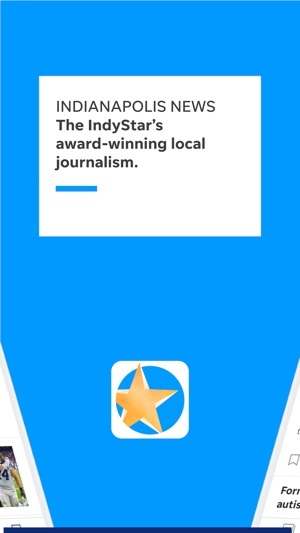 • Access all of IndyStar’s in-depth coverage, including things to do around town and analysis of the Colts, Pacers, Hoosiers, motor sports, high school teams, and more. 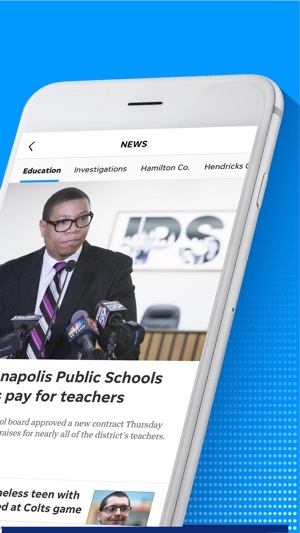 • The IndyStar app is free to download and all users can access a sampling of free articles every month. 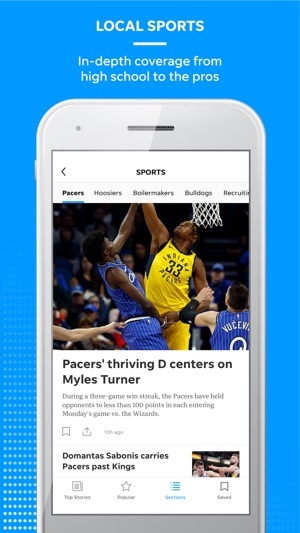 • For unlimited access to all content, subscribe now and get 30 days free ($4.99/month after). 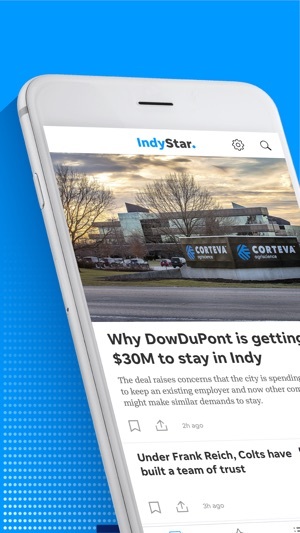 Or if you are already a subscriber, you can sign in with your existing IndyStar subscription. • New subscriptions are charged to your iTunes account at confirmation of purchase and automatically renew each month or year, unless turned off in your iTunes account settings at least 24 hours before the end of the current period. For more details, see "Subscription Support" in the app's settings for more details and customer service contact information. I didn’t want to connect this app to my facebook account. After several attempts, I was able to create an account with my email address and a password. The app does not provide access to the online account you created, which can only be accessible through their website. So, creating the account was pointless. I don’t want to pay for news that I can get for free elsewhere. (Content in this app is high level and contains many of the same stories the provider shares on twitter/facebook.). This was super disappointing. Once I was in the app, and surfing around, every article I viewed had an advertisement positioned in the middle of the content, asking me to subscribe to e-access, which I thought I had just done when I agreed through iTunes to subscribe for $4.99 per month. This was the final straw, only a few hours after agreeing to subscribe. Well, after this experience, I’ve cancelled the subscription I just signed up for and am deleting the app from my phone. No thanks... I’ll find my news elsewhere. I truly dislike the way the information is organized. I can't tell which articles are new until I click on them. Hate the way you have to negotiate around the minefields of ads that you can accidentally open. Would much prefer a physical paper, but the monthly subscription went to $54, so who wants to pay that much- even to support a free press? These day everyone wants to condemn guns as an evil force that makes people be violent and not take responsibility for their actions, yet alcohol is a more serious problem but very few complains about alcohol. Drunk drivers kill with the same deadly force and devastating the lives of so many. I have yet to see an inanimate object do anything on its own, no matter what object, whether car, gun knife, ball bat it’s ALWAYS the person behind it.